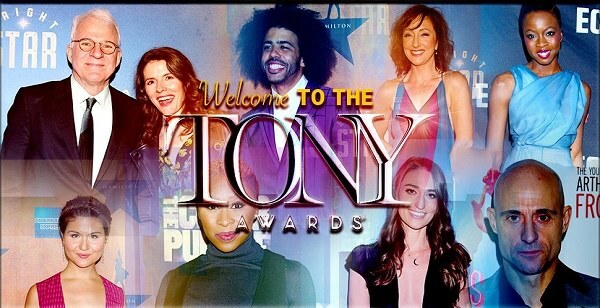 America’s, and by theatre standards, the World’s, most prestigious Theatre Awards Nominations were announced yesterday. Many a show has been made and broken on these very nominations. Disaster! The Musical is a case in point. After not having received any Tony Nominations, the Producers have announced that it will close at the end of the week! It was only playing to 50% capacity, however, and a nod from Tony might have helped. It’s a crazy world out there! The Musical that is attracting all the attention is of course ‘Hamilton’ which received a record breaking 16 nominations. Read the full list of nominations here! Getting a ticket to a Tony Nominated show will cost you between $57-$167 with premium tickets going up to $277! That’s an astounding R4100 a ticket! Just saying! Committie’s Exuberant Delivery is a Tonic Another Opening, Another Show!